Visiting Los Angeles and looking for a place to swim? Nice choice! Don't forget to tell us how did it go. 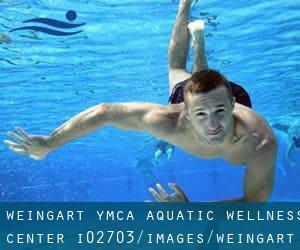 Introducing now Weingart YMCA Aquatic & Wellness Center swimming pool, an amazing swimming pool sent by a swimmer like you few days ago. Have you visit this pool? Do you work here? Please, contact us when you have facts that you believe is gonna be useful and bear in mind from now on you'll be able to now promote every single pool just by sharing this page with your close friends or adding comments within the Facebook boxes below. Come on and help this pool to be the first in Los Angeles! Among all the activities provided by the center, for anyone who is interested in swimming you'll delight in 25 yards, Indoors. Just in case you want to get in touch with this Swimming Pool prior to dropping by, we only know the phone number. Write down the GPS coordinates we've on our file for this Pool, so you can enter them into your GPS to assist you locate the Swimming Pool easily. We strongly recommend calling before visiting the Pool. If you believe that any of the data is incorrect, please contact us. Assistance us be better day-by-day. Updated on 2019 1628 El Centro Ave. off Grower , Hollywood , CA , USA (Postal Code: 90028). Swimmers like you reported 25 meters, 4 lanes, Indoors. Unfortunately we do not have the email address of this Pool, but we can give you the phone number. Updated on 2019 7630 Towne Ave. , Southeast L.A. , Los Angeles , CA , USA (Postal Code: 90003). This sports center delivers 25 yards, Indoors. Contact info for this Pool such as phone number and email address are number. Updated on 2019 6833 Park Terrace , Playa Vista / Marina del Rey , Los Angeles , CA , USA (Postal Code: 90045). Among all the activities supplied by the center, if you are enthusiastic about swimming you can expect to get pleasure from 25 meters, Indoors. Just in case you would like to contact this Swimming Pool just before dropping by, we only know the phone number. Updated on 2019 2025 Avenue of the Stars , Century City , Los Angeles , CA , USA (Postal Code: 90067). Among all the activities offered by the center, when you are interested in swimming you'll delight in 20 yards x 30 feet, Outdoors. Just in case you would like to make contact with this Swimming Pool before dropping by, we only know the phone number. Updated on 2019 401 S. Hope St. , Central L.A. / Downtown , Los Angeles , CA , USA (Postal Code: 90071). Swimmers like you reported 25 yards x 45 feet, 4 lanes, Indoors. Unfortunately we do not have the email address of this Swimming Pool, but we can provide you with the phone number. Updated on 2019 545 South Figueroa Street , Downtown , Los Angeles , CA , USA (Postal Code: 90071). This sports center provides 20 yards, 3 lanes, Indoors. For this Pool, only phone number is number here. Updated on 2019 8015 S. Sepulveda Blvd. , Westchester , Los Angeles , CA , USA (Postal Code: 90045). Swimmers like you reported 25 yards x 30 feet, 5 lanes, Indoors. Unfortunately we do not have the email address of this Swimming Pool, but we can give you the phone number. Updated on 2019 11311 La Grange Ave. , West L.A. / Sawtelle , Los Angeles , CA , USA (Postal Code: 90025). Swimmers like you reported 25 yards, 6 lanes, Indoors. Phone number and e-mail address are number for this Swimming Pool. Updated on 2019 1553 Schrader Blvd. , Hollywood , CA , USA (Postal Code: 90028). Among all the activities provided by the center, for anyone who is considering swimming you are going to appreciate 20 yards x 40 feet, 6 lanes, Indoors. If you have to contact this Swimming Pool, e-mail address and phone number are both number. Updated on 2019 120 Westwood Plaza , UCLA Campus , Westwood , Los Angeles , CA , USA (Postal Code: 90095). Swimmers like you reported 25 yards, 6 lanes, Outdoors. Unfortunately we do not have the e-mail address of this Pool, but we can give you the phone number. Updated on 2019 3560 Watts Way , USC , Los Angeles , CA , USA (Postal Code: 90089). This sports center provides 25 yards, 8 lanes, 4 feet - 10 feet depth, Indoors. For this Pool, only phone number is number here. Updated on 2019 7900 Loyola Boulevard , Playa Vista / Marina del Rey , Los Angeles , CA , USA (Postal Code: 90045). This sports center delivers Olympic size x 25 yards, 5 feet - 9 feet depth, Outdoors. Updated on 2019 UCLA Campus , 111 De Neve Drive , Westwood , Los Angeles , CA , USA (Postal Code: 90095). Swimmers like you have reported Olympic size, 8 lanes, Outdoors. Also, you will find 25 yards, 6 lanes, Outdoors. Just in case you desire to contact this Swimming Pool before dropping by, we only know the phone number. Updated on 2019 11336 Corbin Avenue , Northridge , CA , USA (Postal Code: 91326). Swimmers like you reported 25 meters, 6 lanes, 3.5 feet - 5 feet depth, Indoors. Phone number and email address are number for this Pool. Bally's Holiday Spa - West L.A. Updated on 2019 1914 S. Bundy Dr. , West L.A. / Bundy , Los Angeles , CA , USA (Postal Code: 90025). Swimmers like you reported 20 meters, Indoors. Unfortunately we do not have the e-mail address of this Swimming Pool, but we can give you the phone number. The information of this Swimming Pool has been verified lately by a member of their staff.